Home / News / Downsizing – Is it right for you? Luxury inner city apartments marketed as ‘perfect for empty nesters’. TV shows where cool older divorcees live in luxury on the waterfront. The ‘grey nomads’ community selling up and taking off in their camper vans. Even twenty years ago, the idea of downsizing wasn’t really part of our culture. The parental home was something to be cherished and kept in the family as long as possible. Now, if the aforementioned signs are anything to go by, downsizing to a smaller property is completely normal. Naturally, the idea doesn’t resonate with every retiree – or even with every person actively planning for retirement. The truth is, everyone’s circumstances are vastly different. Even amongst those who do choose downsizing, the reasons for doing so vary dramatically. A publication from the Australian Housing and Urban Research Institute (AHURI) reported that 43% of survey respondents had downsized in some way since turning 50. (i)They also found that downsizing was most likely to happen between the ages of 65-74. Of the older Australians surveyed by AHURI, 37.9% said they downsized for ‘lifestyle’ reasons, 17.2% moved because their children were out of home, 26.6% moved because they could not keep up with the maintenance on a big house and garden, 10% moved for financial gain. While improving your lifestyle is given as the primary motivating factor for downsizing, the financial implications also need to be considered and recent changes to legislation make downsizing more financially appealing. your home must qualify at least partially as your main residence. The downsizer contribution can still be made if an individual has a total super balance greater than 1.6 million. The contributions are not tax deductible and will be taken into account when determining for the age pension. Even if the financial and practical reasons for downsizing stack up, there are emotional considerations. It can be hard to let go of the family home as every room is full of memories. As well as your attachment to your home you’ve built, think about the feelings of children and grandchildren. Your home could represent stability, safety and tradition to them. Dealing with emotions around the family home can take time and should be planned for. If you have been living in the one suburb or town for many years, you will have put down roots, made friendships and forged deep connections within the community. A new start can be quite intimidating and it’s important to make sure you are comfortable, both with the idea of starting anew, as well as the culture of the community you are moving to. 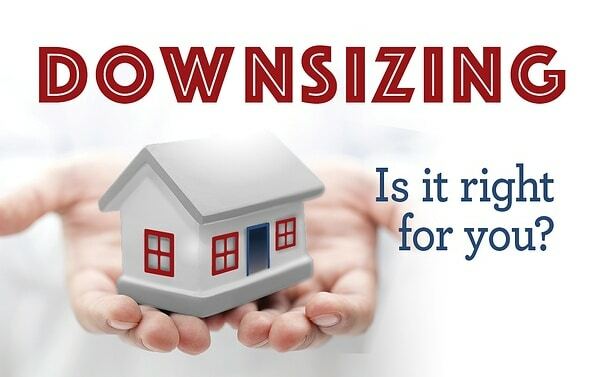 There are a lot of things to consider if you are thinking about downsizing and we are here to help. Make an appointment today to discuss the financial pros and cons of moving to a smaller home.